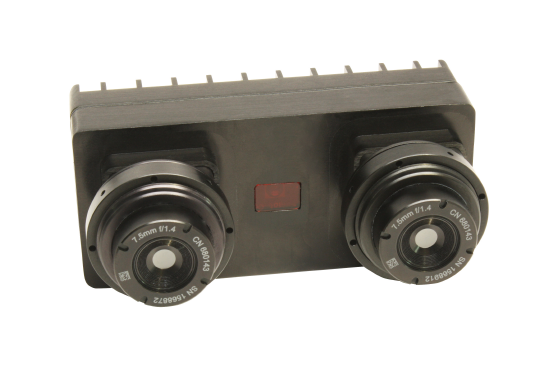 The Stealth3D Camera combines thermal imaging technology with stereoscopic 3D capability to provide the best situational awareness in blackout conditions. Thermal imaging cameras are ideal for surreptitious missions because they operate as well in pitch black as they do in nominal lighting conditions. Because thermal imagers detect long wave infrared energy which is actually heat, they sense without the need for revealing IR illuminators. The Stealth3D camera incorporates two heat detecting microbolometer sensors and combines the images into a single 3D format HDMI video output. See without being seen. Explore without attracting attention. Stealth3D Camera makes it possible. The patent pending Stealth3D Camera was designed to overcome a significant handicap of thermal imagers used for telepresence or operator navigational applications. Our research has shown that certain depth cues that exist in conventional 2D video systems are significantly reduced when viewing a thermal image. Vehicle operators using standard video transmission receive many depth cues which include both light and shadow as well as texture gradient cues. Due to the nature of thermal imagers, texture gradient as well as light and shadow depth cues are significantly reduced. This makes navigation by thermal image video significantly more difficult than with conventional video systems. The stereoscopic cues provided by the Stealth3D camera more than makes up for the lack of texture gradient and light and shadow cues. This 3D perception allows remote operators the ability to operate in no light conditions while maintaining a perfect sense of where obstacles and objects are in relation to the vehicle. Never lose awareness. If you lose awareness, you’re in the dark. Why watch it when you can be there? The Stealth3D camera is built upon the StareHD3D core but uses microbolometers instead of image sensors. This means that all of the features you know and have come to expect in a high-end commercial 3D camera are included in the Stealth3D camera. This means the Stealth3D camera is compatible with your current system that uses the StareHD3D. The microbolometers used in the Stealth3D camera are an ideal 320×270 pixels per eye and include built in non-uniformity correction. 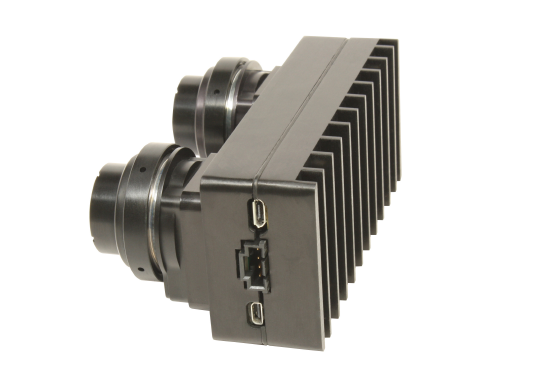 The Stealth3D camera is ideal for UAV, UGV and EOD applications. If you have unique requirements or questions about this camera please contact us for further information. Every vehicle and telepresence application is different. 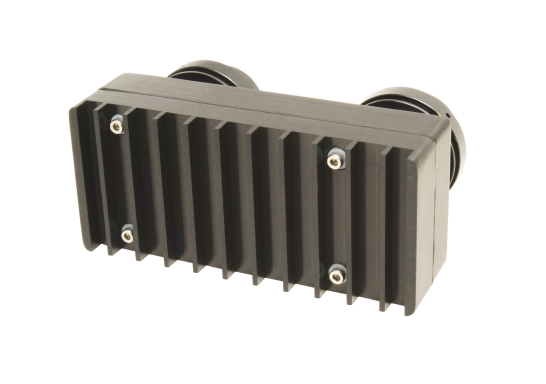 The StealthHD3D camera was designed from the ground up to adapt to your application. Contact us to discuss how the StareHD3D can be custom configured to meet your needs. To see the actual effect of the Stealth3D camera watch this video on a side-by-side (SBS) 3D capable display in full screen. Suitable displays are 3D televisions or 3D stereoscopic head mounted displays.